Healthcare is an outcomes-driven industry. 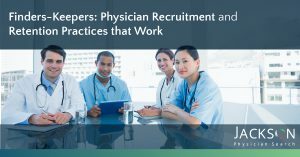 However, many organizations lack a structured method and accountability for measuring efficiency, successful recruiting, and return on investment for the recruitment of physicians and other healthcare professionals. As a result, there is no formalized process to continuously improve and maximize results. This presentation focuses on best practices and benchmarks when it comes to recruitment metrics and key performance indicators (KPIs). Additionally, we show how data can be used to find process gaps and inefficiencies, isolate the true costs of recruitment, track and report KPIs, and improve overall performance. 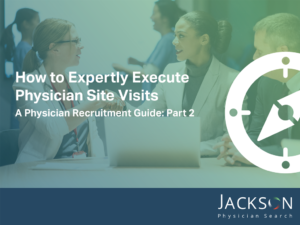 Part 2 of our Guide to Physician Recruitment focuses on site visits. How you execute a physician site visit has a huge impact on the decision of your candidate.